You don't want to miss this sunny and bright open concept cape! Scootering distance to downtown Portsmouth and Kittery Foreside, walking distance to Eliot Marina, and easy access to I-95. Stunning chef's kitchen includes top of the line appliances and fixtures, quartz counters, custom cabinetry, and coffee bar. 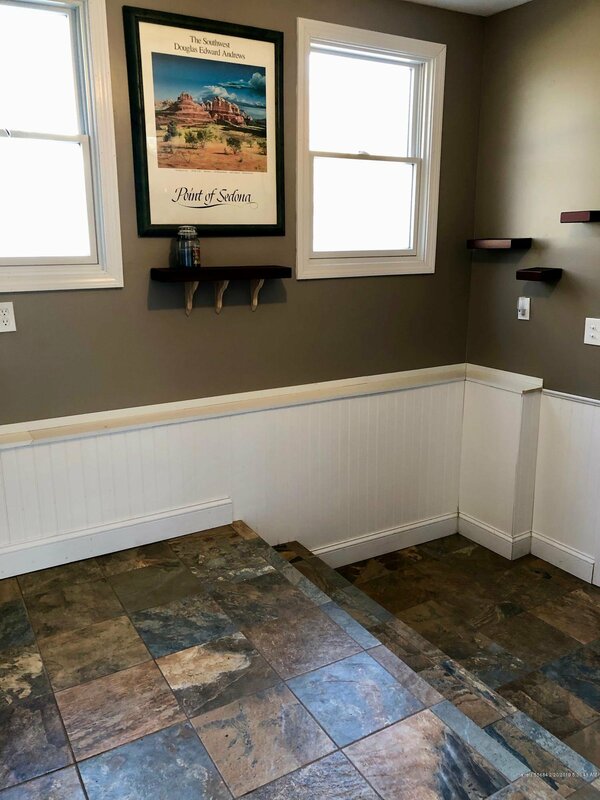 Tiled mudroom entry, stone fireplace with custom wood mantel, new roof and replacement windows throughout. Freshly landscaped with stone walkway & stairs, perennial gardens, and fully fenced private backyard with patio for entertaining. One car garage, storage shed, and workshop space in the basement. Cozy upstairs featuring two freshly carpeted bedrooms and updated full bath. Listing courtesy of Olde Port Properties.